by William Reginald Halliday, page 145. Volume 1, edited by Hans Dieter Betz, page 100.
by Margaret Alice Murray, page 114.
khem, why bees wax if i may ask? also using the equipment i have described how do you feel about vibrating or stirring with a branch or wand in order to induce visions of the past, i have been told that the use of a live branch will give visions of the present and a dead branch visions of the past, in your studies have you found any mention of this? if not what method would you employ to view the recent and distant past. i wish to use this new bowl not to tell me the future but to help me better understand things which have already passed. I have never used ink or magic mirrors so I cannot help you. I scry using a different method but my problem is that I do notknow how to interpret what I have done! I draw. I auto draw. And these beautiful, organic, interlinked shapes come out. But I have no idea what it means! affirmative and negative are easy enough to interpret its more specifics which are harder to determine, just takes practice and trust. i am accustomed to viewing in bodies of water which is why i feel that ink will work better for me now that i have decided to move this practice into my house. the nice thing about viewing in lakes or ponds is thatr anything which comes through stays there, large bodies tend to 'hold' the visions and spirits of visions more effectivly than other methods, so if something gets a little strange all one has to do is say a prayer and walk away. when you bring this practice into your home you have to exhert more controll over the situation. this is why i have chosen the method which i have, by having made my bowl i already control its form, by having made my ink i control the formula, byensuring that it holds my energies and only my energies i can be sure that there are no external influences. i am very carefull of what i bring into my home and i undertake this new practice only after having become confident that i can keep everything in its place. i personally find that auto-writing is a little too open a forum for my tastes, i am not a fan of trances, they tend to allow anything that wonders by to come through on the paper and once it is on the paper it is in your life and your home (if you are practicing at home) at which point you have to be quite carefull that you put away your toys when you are done. i did a little auto writing and auto drawing when i was very young without much success but then moved to "book skrying" with a king james bible. by going only into a momentary trance you can pluck 8 numbers and 8 words easil andy from the other world and come back quickly without any open doors. take those numbers and words to a bible and seek their locations, sometimes the number is the line and the word is the location sometimes the word is the key and the number is the location, in this method as well you have to use your intuition very precisely, but in my opinion it is a very 'safe' method of viewing and can produce some very precise results. i prefer book skrying to terot cards, so much so that i do not even own a deck of the terot anymore. again, i am quite 'safe' when it comes to these matters, a less carefull person is free to enjoy the various arts but myself i take a note from honorius when he insists that you never undertake a task having not first ensured that your other tasks are complete. ~ T. S. Eliot, Burnt Norton. - heat and cold, dryness and fluidity. Volume 11, 1895, page 334. The file is down as of 11/10/2010EV. work in a public museum since his death in 1956." on both academic and popular levels. from those of other witchcraft suspects from the period. Views of this sort have dominated recent scholarly publication. this reductive materialism is not only incomplete but false. by his friend and colleague William James. compatible with leading-edge physics and neuroscience. concerned with the still-unsolved mysteries of the mind. Human Personality (1903) and selected contemporary reviews. Rowman & Littlefield Publishers, Inc., 2009.
by Jeffrey John Kripal, page 37. The file is down as of 1/1/2011EV. 48 Angelic Keys of Dr. John Dee, 1584. The file is down as of 1/14/2011EV. Count me in, I'm still in the middle of my research on Alchemy and magic circles, so count me as a novice t the inner circles of the steampunk-arcanum. I simply must recommend Catherine MacCoun "On Becoming An Alchemist"
It opened my eyes to so much, including the fact i'd been a practicing alchemist for years without knowing it. The Occult fascinates me to no end. So much so that a good portion of my interests include the Occult and Paranormal studies. I want to seek the answers to what exists beyond. Welcome to the E.'.O.'.B.'.D. '., Professor Griffiths! for some real-time Chat, anytime at all! Where on that site is the Real Time Chat? on the lower right of your screen. The file is down as of 5/14/2011EV. Gustave Selenus: *Cryptomenytices et Cryptographiæ*, 1624. The file is down as of 5/21/2011EV. I'm tinkering with a few custom made things myself. I'm going to make a custom set of cards for some cartomancy. There's nothing wrong with tarot cards, it's just a need to use archetypes and symbolism with a richer feel to me. The other is an idea I had a while back when I first started looking at the meaning of runes. The idea that in our world we have certain symbols and logograms that are so ubiquitous that we can't even think of them off the top of our heads. 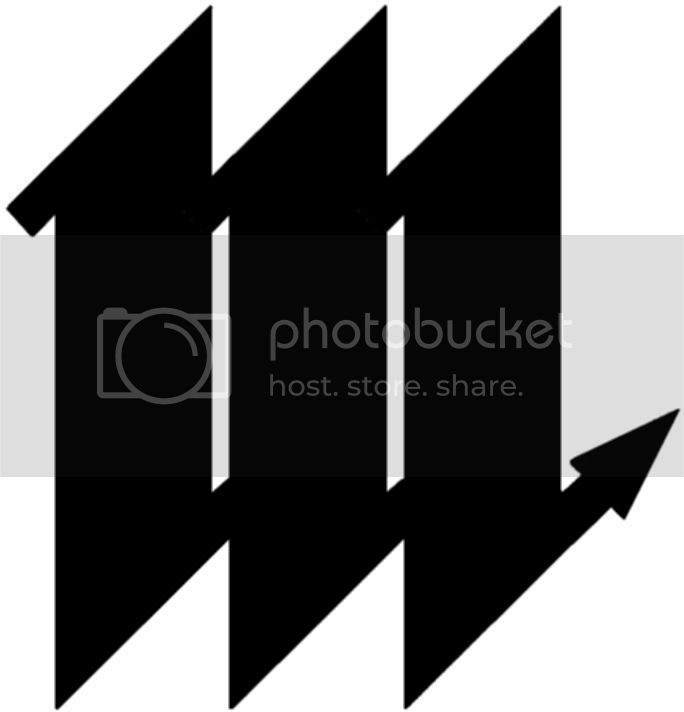 But these symbols can have significant meaning when pulled out in sequence an reguard to events or people on our minds. The idea for the latter involved a technique for crafting (of all things) tiny picture frame magnets for refrigerators out of bottle caps. And so I began collecting individual bottle caps from places I'd been and people I knew. No rush. It's sort of a found object art project, and modern primative divination tool. I have my list of symbols that I will use. They do not directly correspond to the runes or ogham system either. I chose the symbols for their ability to represent as many influance on life and people as they can without being a clutter of too many. I settled on 21 that I feel depending on interpretation and context can be used for most everything. I can always tweak things if there comes a realisation that something more is needed or one is redundant but I'm fairly satisfied with the ones I have now. Harnessing the unclear forces for science! I'd recommend 'The Lost Language of Symbolism' (2 volumes) by Harold Bayley, or possibly the Routledge 'Dictionary of Symbols', for an overview. Specifically for Zodiacal symbolism, I can't help - but I'm sure Khem can! The file is down as of 6/11/2011EV.